Why are building toys important? When you allow children time to play with building toys, you are kickstarting their interest in the engineering and mathematics fields while fostering logic skills, critical thinking, and creativity. Not only do building toys help to hone both fine and gross motor skills, they also come with the dual benefit of allowing for independent play when your child is on their own or cooperative play when your child builds with a friend or group. Why we love it: This solid wood set is durable, comes with plenty of pieces for immediate play and can be combined with other sets to ramp up the creative possibilities. Pieces can be taken apart and rearranged over and over again which keeps your little one from getting bored. 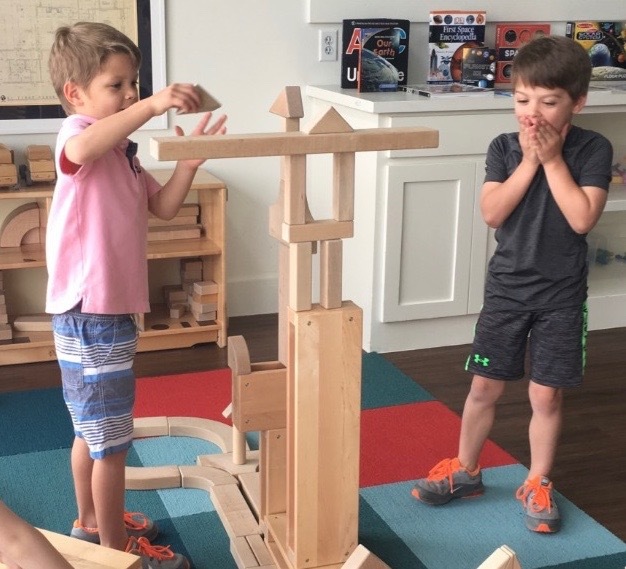 The best part is the confidence that is built when your junior architect experiences the success of having their marble cross the finish line and ring a bell. Hurray! Why we love it: These magnetic building blocks are simple enough for the youngest in the family to enjoy while having the capability for complexity that your oldest child will find intriguing. This is one toy that you will see your child continue to use year after year, and with all of the add on sets that feature additional building opportunities (including cars, space ships, and even a pink and purple princess castle) this could be the favorite Christmas gift for years to come. Why we love it: Tegu blocks are both visually appealing and environmentally sustainable. In fact, this brand pledges to plant 100 trees per each tree that is used to create their blocks. But those are just the things that parents love about them. Your kiddos will love the challenge that is created by Tegu’s unique design. Each Tegu block is magnetic on only one side. This promotes critical thinking and builds spatial awareness skills as your child must turn and arrange the blocks in order to get them to stick. Good for the environment + fun for the kiddos = double win! Right now, our retail area is BOGO 50% off which is a great reason to pop-in and grab some of our favorite building sets!